You’d like to put points on the board, but we got some completions and gave the guys a chance to catch some balls. You’d like to come away with a little more progress and run the football a little bit better than what we did. I feel fine. I probably would have stayed in the game, but I couldn’t get my shoe back on. I got hit pretty hard on the play and I didn’t want to come out. I just couldn’t get the shoe back on. I’m never complacent no matter what you’re doing. If I was the No. 1 guy, I wouldn’t be complacent with being that. You’re always trying to get better and move up the ladder. You’ve got to make the most out of every rep you get, as limited as they may be at times, in a game or at practice; you’ve got to make the most of them. So it doesn’t surprise me (now). No, I haven’t. Just doing my part. That’s about it. I’m not happy about it, but that’s the way it’s going right now. But it’s not going stop my progress and how I’m approaching my game and the practice right now. I don’t feel squeezed. I just feel like I just have to take care of what I can take care of. There are limited opportunities out there with the first group. It’s take care of your own. I can’t worry about what the next guy is doing. Let the cards fall where they may and that’s how you have to approach it. It’s nice to get Coach Saban a win. There’s always competition. I’m trying to make the most of my opportunities. It’s not over, we’ve still got a lot of preseason and a lot of training camp left. Just come out fighting. [I’m] not going to lay down here. It wasn’t my night. I’ve got to take responsibility for that and try to cut down on the mistakes. It’s been frustrating because the first game you come out early because of [a] shoe coming off. Last year, things were a little different than they are now, … I guess if you’re going to look for reasons, look for excuses, I guess you could say those. Everybody wants to start. That’s my plan. You always expect to start, and that’s my goal. Anytime you get a chance to play, you have a chance to succeed, … It’s a matter of what you do with it once you have it. I’m not complaining. It’s the nature of the business. I’m excited, … It’s a fresh start. I need to make some good impressions and get back to where I once was. I’m not getting caught up in who’s (in San Diego) and who’s not there. I’m just getting a fresh start and a chance to rebuild. It was bittersweet. For me, it’s tough to accept the fact that things didn’t work out that well for me in Miami. On the other hand, it’s a fresh start here, and it’s an opportunity, and it’s all you can ask for. It’s a positive right now, but at the same time it’s tough to swallow a defeat a little bit. It’s bittersweet, … It didn’t work out here. It’s something I’ve got to swallow. They had high expectations and I had high expectations for myself. For some reason… I’ve got to put it on myself. But it happened. It’s an exciting time. It’s everything you ask for as a player — an opportunity to play. Hopefully I’ll take it and run with it. Adam Joshua Feeley is an American football quarterback for the St. Louis Rams of the National Football League. He was drafted by the Philadelphia Eagles in the fifth round of the 2001 NFL Draft. 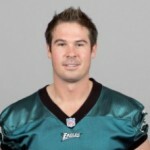 He played college football for the University of Oregon.He has also been a member of the Miami Dolphins, San Diego Chargers, and Carolina Panthers.Feeley played high school football at Ontario High School as a quarterback in Ontario, Oregon. In four years, he passed for 5,428 yards and 59 touchdowns. In addition to football, he also played baseball and basketball. He opted, however, to play college football for the Oregon Ducks.